Water and fire are basic necessities for every people group under the sun. In this case, water and fire are not in reference to the baptism of water and fire, which also are very necessary requirements to living a Kingdom life; rather, I am referring to normal water and real fire. It is written in the ancient Wisdom of Sirach, “Basic to all the needs of man’s life are water and fire and iron and salt and wheat flour and milk and honey, the blood of the grape, and oil and clothing” (Ecclesiasticus 39:26). In the developed world, the subjects of water and fire are not something that consume one’s thoughts. The basic needs of life are typically very well meet and satisfied in various forms due to modern technology and new inventions. The crucial importance of fire and water in daily life, therefore, is not even highly recognized. 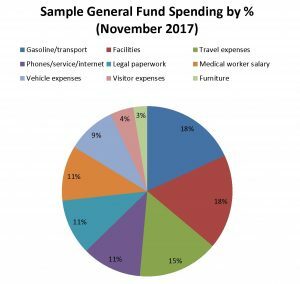 Yet here in Africa, such considerations are pertinent to everyday living, and the acquisition of these basic elements is a tough labor of it own. 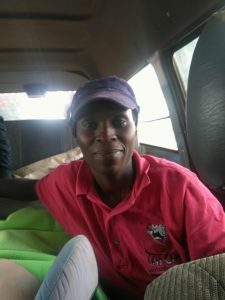 The amount of time and energy that is invested in fetching water and collecting firewood is not something that the average Westerner considers, but it is indeed a good portion of time spent in the life of a typical village Mama. 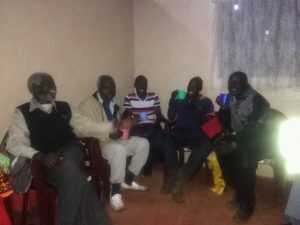 In many African communities, the responsibility for the provision of the basic needs referenced in the Wisdom of Sirach is divided equally between men and women. 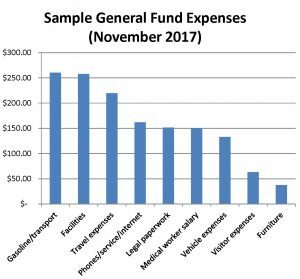 Men typically insure that their families have food, clothing and shelter, while women usually see to the household needs for water and firewood. Today, we’ll look at water, next time, wood for fuel. How is water collected? Where is it fetched from? Are these places safe and clean for consumption? In many villages in developing countries (including ours), water is collected from rivers or natural springs, or gathered from rain water. 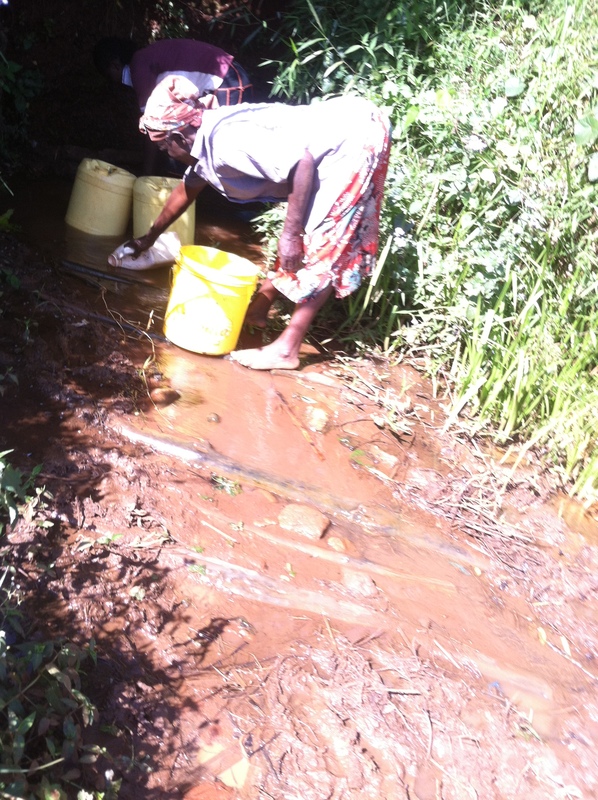 Many natural sources of water, though used regularly, are not clean for human consumption and can present a health risk to the villagers. 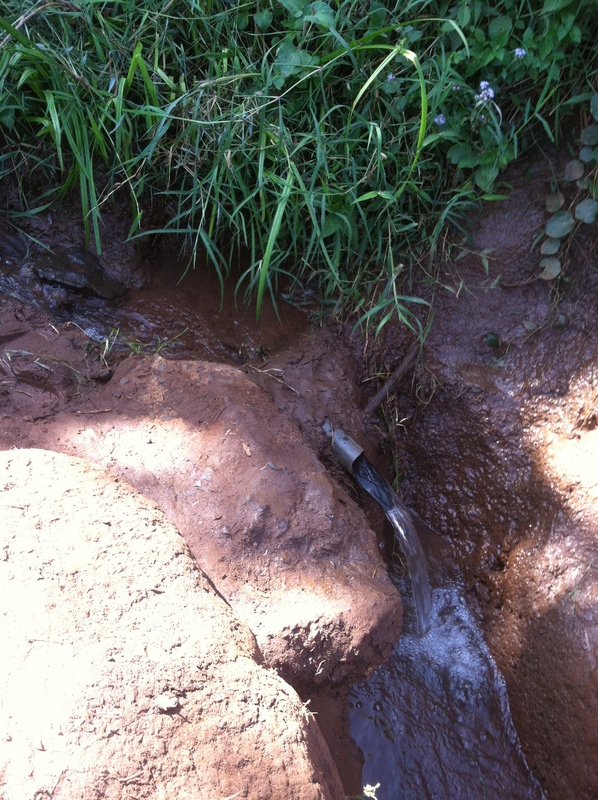 The springs may be uncovered or unprotected, in which case they can be susceptible to contamination leading to disease outbreaks. 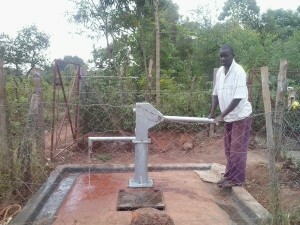 In our village, for example, we had three open springs of water for the entire community (above pictures). 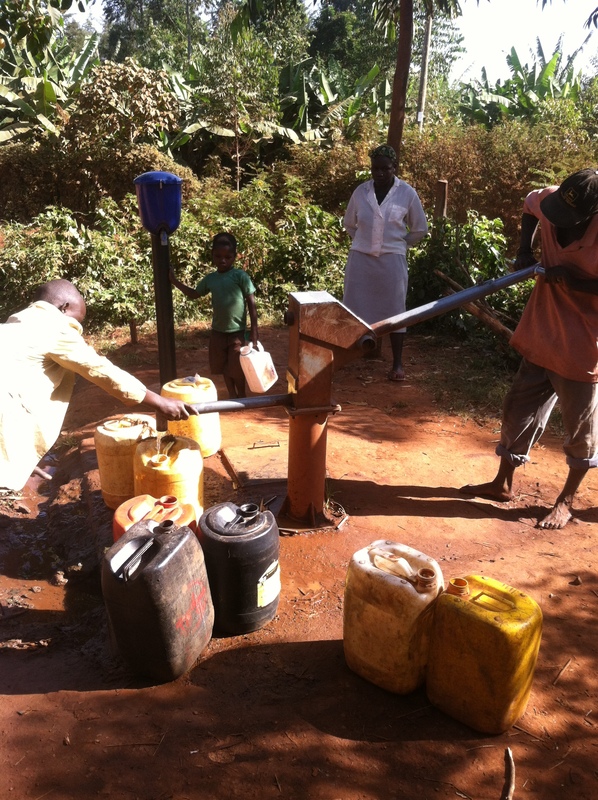 Many people who came to us with acute medical needs were treated for diseases like malaria, typhoid, and cholera, all of which can be linked to these natural water sources. 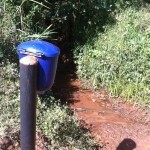 This is only one aspect of consideration in the process of collecting water for daily use. 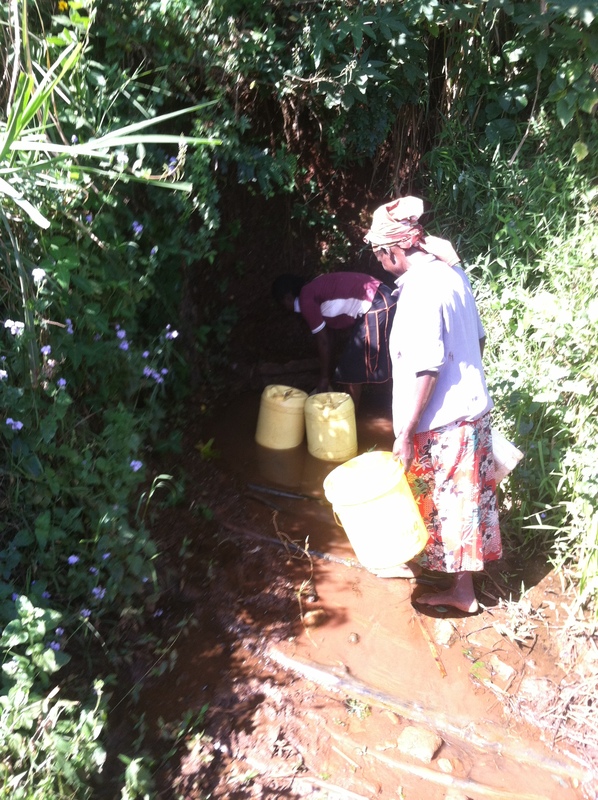 If a water source is close by, a woman may spend a minimal 20 minutes walking back and forth and filling her container (up to 20 L, or about 5 gallons, can be carried on her head!). This often needs to be done more than once, but the investment of time to fill the day’s water needs may still be less than an hour. If the water source is far away, the time is, of course, multiplied. 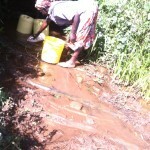 Sometimes, Mama works at home while her children fetch water. They can carry appreciably less, so they may spend hours carrying what their mother would do in one or two short trips. 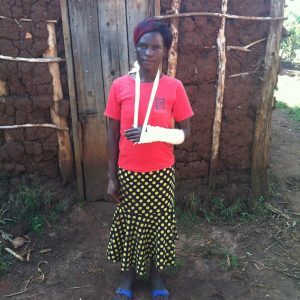 A woman who is ill of health may need her children to do the work or may depend on neighbors to help her, which can be burdensome to others or simply leave her with her needs unmet. 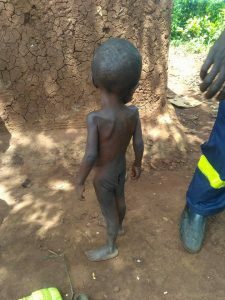 For example, one elderly grandmother in the area suffered from HIV in its late stages, yet was caring for several grandchildren. 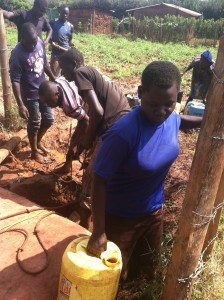 To conserve her water supply, she washed dishes in a basin of water, then allowed each of the children to use it for bathing in turn, then left it outside for her chickens. 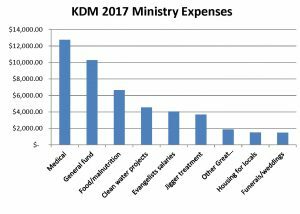 All of these considerations were part of the decision for Kingdom Driven Ministries (KDM) to install a borehole and pump in a high-traffic, public location in the Carriers’ village. 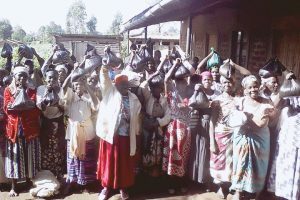 This has indeed been a blessing–as a time-saver for the village Mamas who struggle so much to meet this daily need, and also as a means of reducing water-born illnesses. 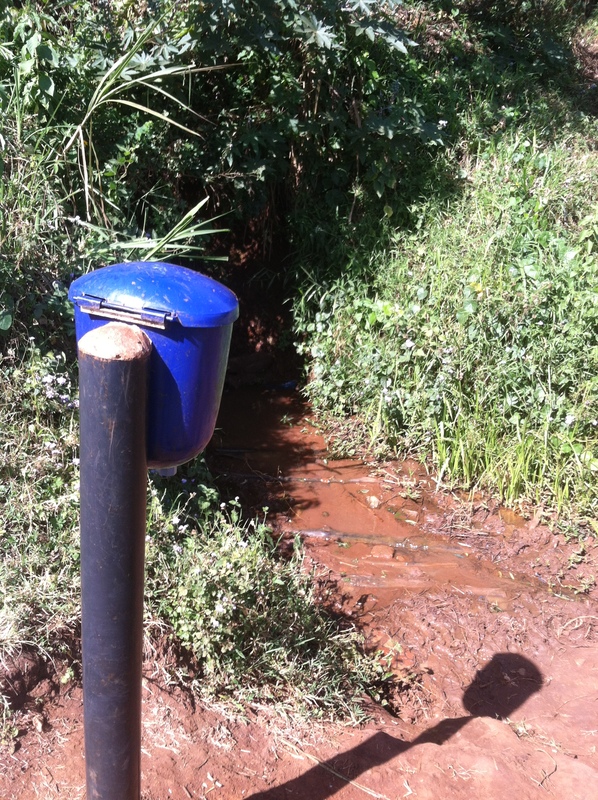 No matter what time of day you visit, the village pump is rarely idle! 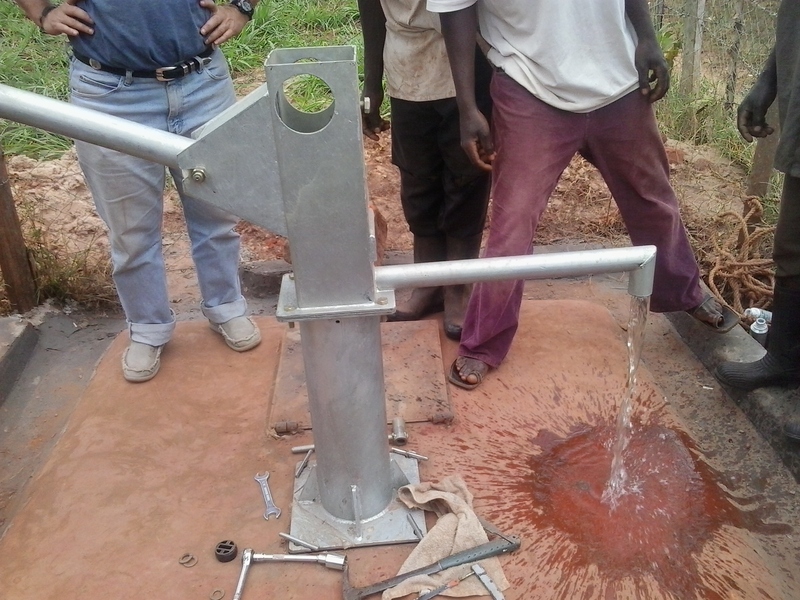 A second borehole and pump were recently installed in a neighboring village. 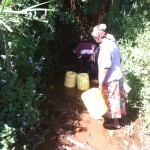 Next time, a look at collecting wood for fuel, another major investment of time for our village Mamas. 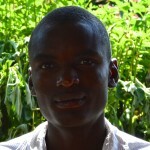 Kingdom Driven Ministries welcomes Reagan Simiyu as a contributing author to the blog. 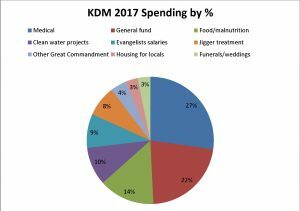 For quite some time, villagers not too far from where the Carriers live were asking if KDM could build for them a water well so that they could have access to clean water. They persisted in their asking, perhaps to show that they knew the command to “pray without ceasing.” (Or, maybe to bring to mind the parable of the persistent widow?) 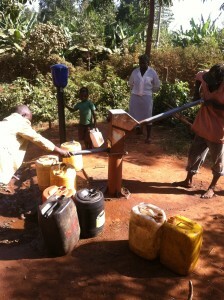 The Lord was good and He granted them a clean water well. 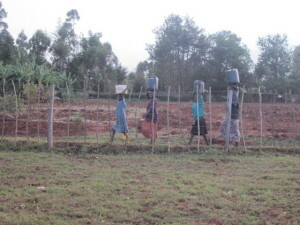 Women were spared the long journey seeking for clean water and were able to utilize their time meeting other demands of home life. Lo! Their joy was not to last long, due to some underground problems which resulted in the collapsing of the well, and therefore the hope of the people collapsed too. 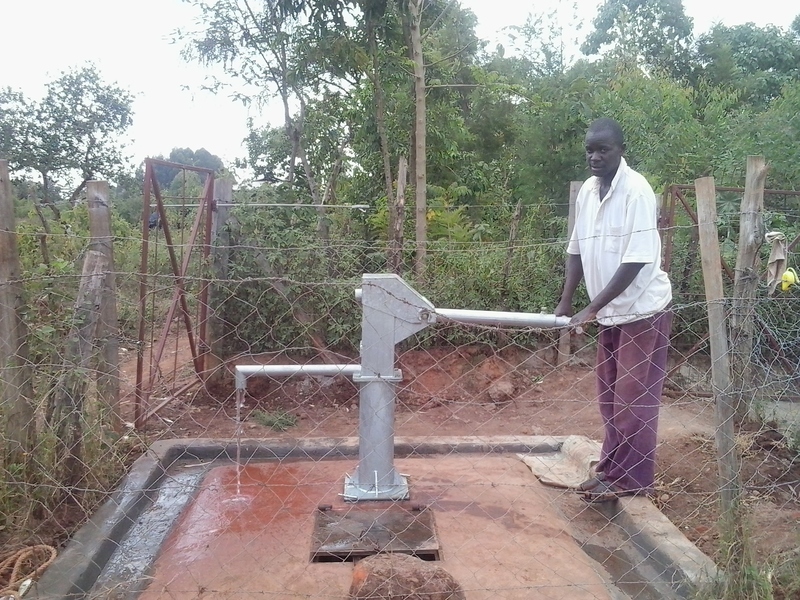 We thank God for recently providing a donor and well-wisher who took upon himself the financial burden of restoring the water well, and thus restoring the hopes of the villagers. 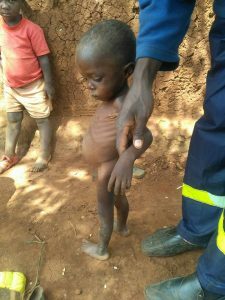 We thank the Heavenly Father for responding to the cries and meeting the needs of his people in miraculous ways through his own people. A few photos of the work in progress are below. 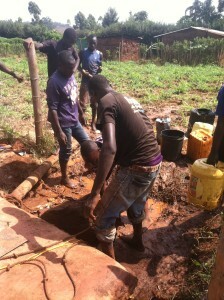 Several men (some from one of our sister fellowships here) did the dangerous work of climbing into the 50-foot borehole to re-excavate the soil that had fallen in. 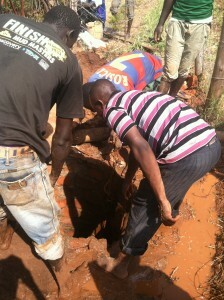 Other laborers from the community assisted with the brickwork (to prevent the same problem from re-occurring). 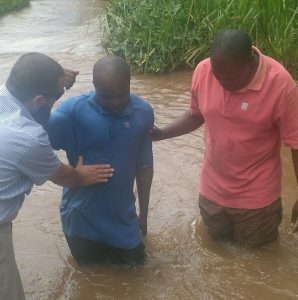 And for a couple of days, as many as 10-12 in the village were offered day labor (helping to remove the water as it rapidly filled the borehole), which permitted the diggers to go down *just* a little further. 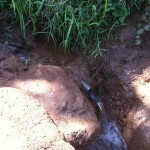 We’re at about 50 feet with a decent amount of water, and, praise the Lord, the project is almost finished!